But once winter sets in, the season does not have to end, as mountain bikers decide to trade the now snow covered trails on the mountains of central Bosnia for the still dry hills of Herzegovina, where due to the more mediterranean climate, mountain biking and cycling is possible year round, with occasional harsh winds being the only weather related unpleasantness. Visiting the best mountain biking trails of Bosnia is best done from either Sarajevo or Mostar. These are the most visited cities in Bosnia and can all be reached with 15-minutes to a maximum of a two hours of driving. 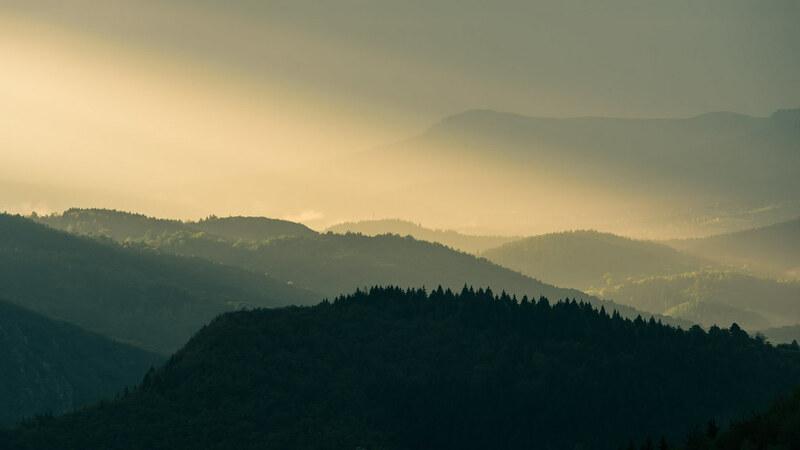 Compared to most of Bosnia’s other mountains, Trebević is definitely in the low altitude club, but when it comes to mountain biking it has far more to offer than its modest height would imply. The starting point, which is the Vraca memorial park, is a mere 5-15 minute drive from the Sarajevo city centre (depending on traffic), making it ideal if you are staying in Sarajevo and are short on time. The Trebević trail is really diverse and after a brief section of old cracked asphalt you will be rewarded with an entertaining ride. 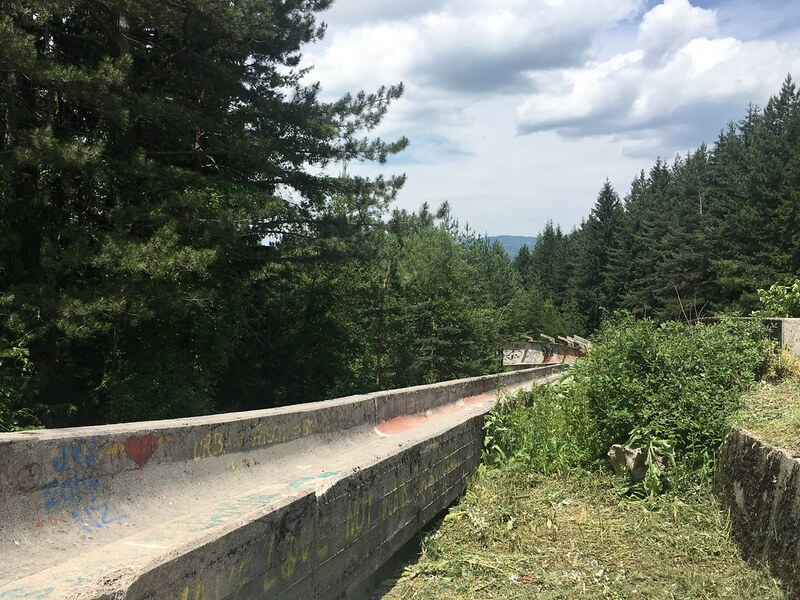 The downhill section is one of the most picturesque ones in Bosnia and will take you through a lush pine forest, which will stay cool and filled with fresh air even on the hottest of summer days. The descent is challenging enough to be entertaining but also mild enough not to intimidate novices. 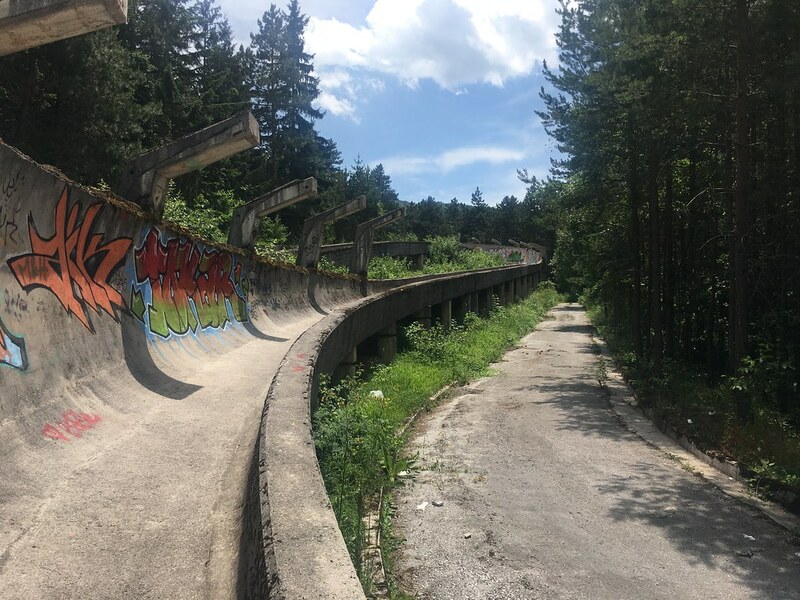 On your way down you can enjoy something special and cycle down the 1984 Winter Olympics bobsled track, but be careful as on the weekends the track can have tourists or debris on it. The total ascent of the trail is 943m and the total length is 24.5km. The ride can be completed in 3-5 hours. The Prokoško lake is one of the most beautiful mountain lakes in Bosnia and Herzegovina. It is a crystal clear mountain lake, in the middle of a mountain village surrounded by pristine nature. 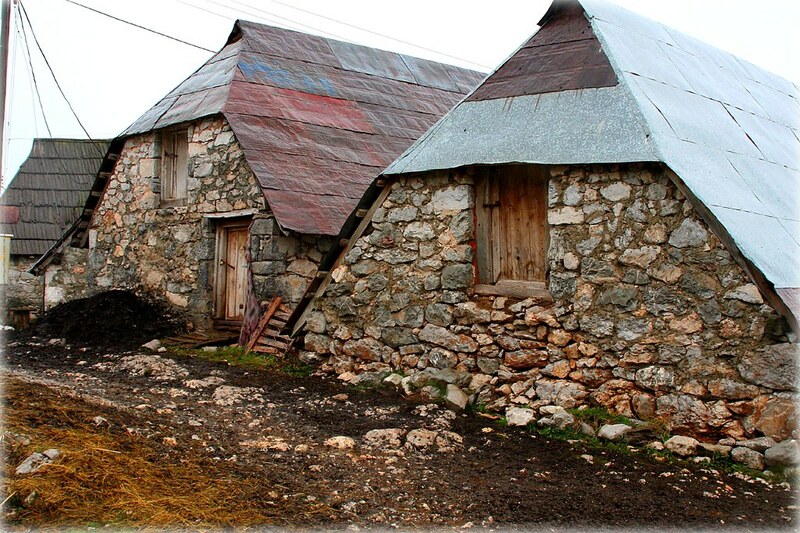 It is located on the Vranica mountain, at an elevation of 1636m. The lake is some 20km from the town of Jezernica which is about an hour’s drive from Sarajevo, an three hours from Mostar. The ascent to Prokoško will take riders through a series of gravel roads, which are only occasionally interrupted with sections of dirt. The ascent is of mixed difficulty, but can be undertaken by cyclists of all skill levels if frequent enough stops are made. The final kilometre of the ascent is a steep incline followed by a small downhill section to the lake. Once you reach the lake you will be rewarded with spectacular views and a chance for a hearty lunch. You can also cycle through the amazing nature and cross the many crystal clear mountain streams surrounding the lake. The ride is 35.6km long, with a total ascent of 1100m and can be completed in 4-6 hours. 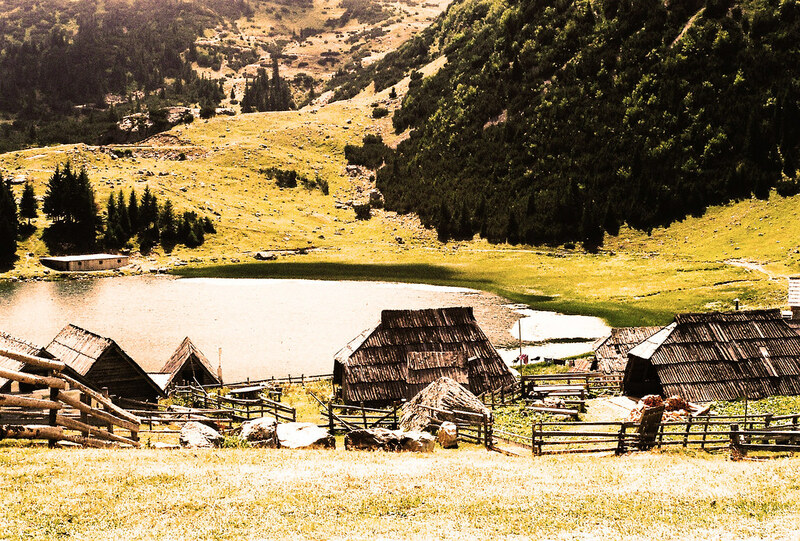 Located on the slopes of Bjelašnica at an altitude of 1495m, Lukomir is Bosnia and Herzegovina’s highest inhabited settlement, and is an amazing opportunity to see what life was in the Dinaric Mountains hundreds of years ago. 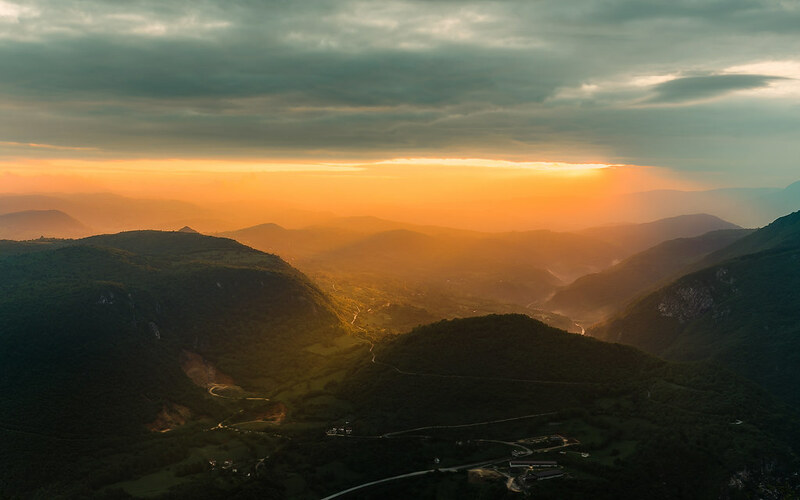 The nature and cliffs around the village form a scenery that some consider to be unmatched by any other in Bosnia and Herzegovina and even the region. 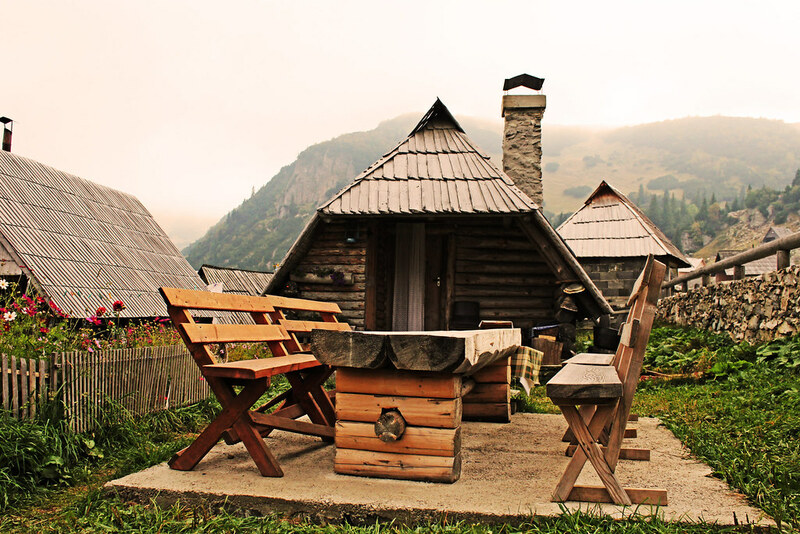 The starting point is the Hotel Marshall on the Bjelašnica Mountain, which can easily be reached from Sarajevo after about 30-60 minutes of driving, depending on the traffic. The ride will take you over asphalt roads, dirt forest roads and amazing mountain grasslands. The route is mixed with many ascents and descents, none of which are too challenging and are suitable for cyclists of all skill levels. 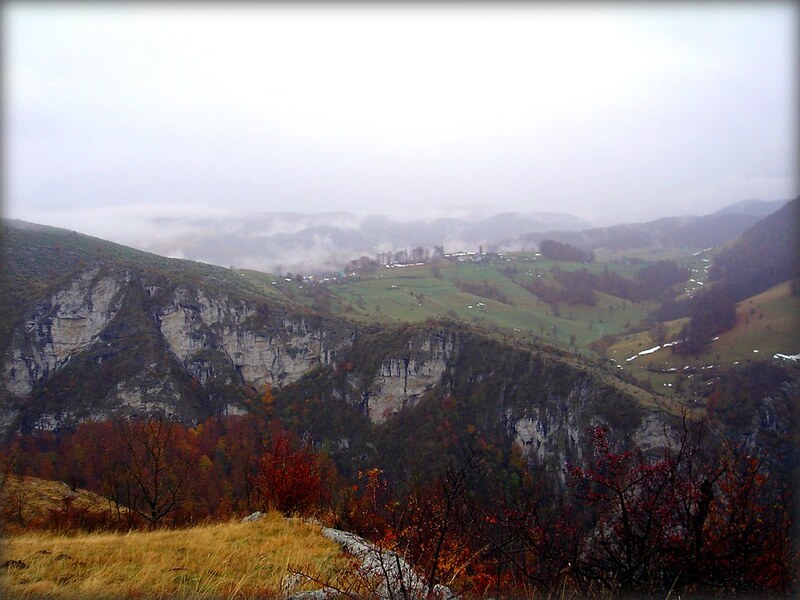 Once you reach Lukomir you can take some amazing photos, behold the Rakitnica canyon and have lunch. On you way back you can visit the amazing Red Rock pass, and if you’re lucky, see locals digging up the red rocks to put into the foundations of their homes. The length of the entire ride from the starting point and back is 51km, the total ascent is 1146m and the ride can be completed in 5.5 to 7.5 hours. This is a very long ride that demands a high fitness level and pretty decent mountain biking skills, but it is more than worth it because in one full day of riding you can experience everything that’s great about the sport and see some of the most majestic sights Bosnia has to offer. You can start from the Hotel Marshall on Bjelašnica or from the village of Sinanovići, which is a 20km downhill cycle on asphalt roads from Hotel Marshall. The ride will take you through breathtaking mountain scenery and charming villages of the Bosnian highlands. You will be enable to enjoy climbs and downhill sections on almost all types of terrain. After riding through the Bjelašnica and Visočica mountains, alpine scenery gets replaced by an exhilarating descent through sharp curves to Boračko lake, where the experience of taking a dip in the lake after the long bike ride is truly unforgettable. The length of this entire ride is 67km if you start from Sinanovići or 87km if you start from Hotel Marshall. The total ascent for the longer route is 1752m. The longer route will take at least 10 hours to complete. The shortest version can be completed in about 6-8 hours of relatively fast paced cycling. 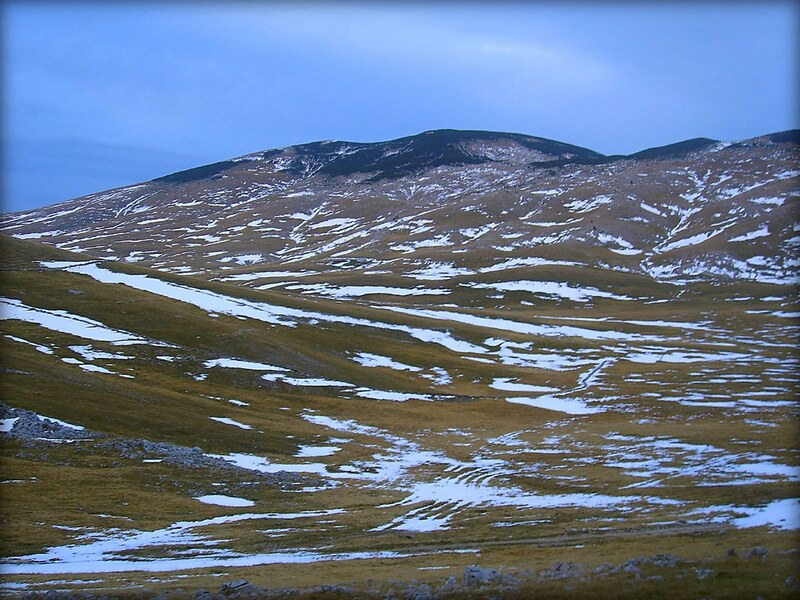 Explore the Via Dinarica route by bike and other adventures in Bosnia and Herzegovina.